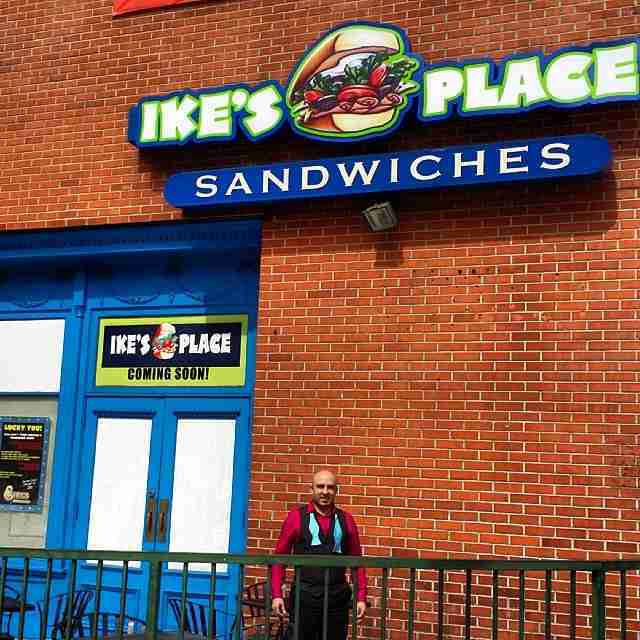 Here's what you do know about Ike's Place: 1) the sandwiches are complicated and messy, in the most satisfying way possible, 2) the lines are always out the door, and 3) the secret Dirty Sauce is the stuff dreams are made of. He grew up in the Outer Sunset on 33rd and Noriega and went to Sacred Heart for a whopping four days before switching to Mills High School in Millbrae. He’s not saying he was a bit of a troublemaker, but maybe he's saying he was a bit of a troublemaker. Yep. Ike owned a market on 16th and Mission in 2001 and he actually sold his sandwiches there first. That’s also where he invented his famous Dirty Sauce, though it was a much more complicated version than what you’ll get on your sandwich today. The sandwich shop part of the market was only open for two months though because, despite having lines out the door, selling sandwiches didn’t make economic sense at the time. The original Dirty Sauce from 2001 was modified two times, but the secret sauce you get today is the exact same recipe from when Ike's opened up in 2007. October 31, 2007. That day, Ike cut his leg, his oven blew up, the electric blew, and he didn’t sell even a single sandwich (despite standing outside in a Winnie the Pooh costume, trying to give them away). He was so bummed he didn’t re-open the store for a week. 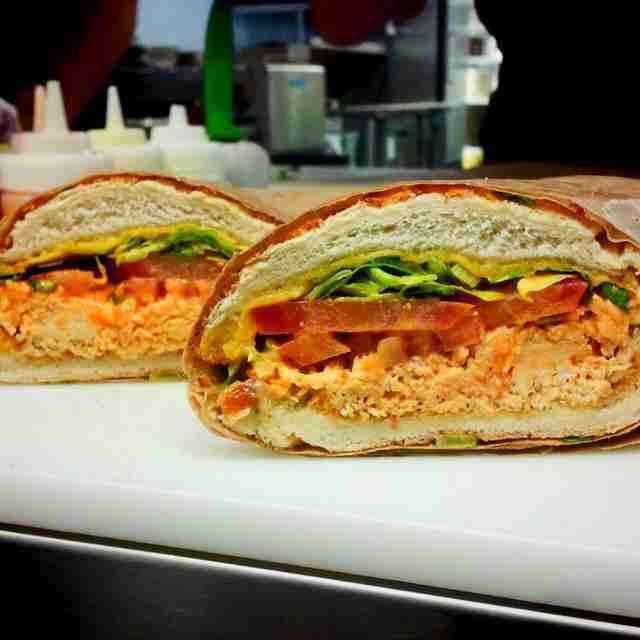 The good-ish news: on November 7th, exactly nine people bought sandwiches! Yay! Oh, and that’s JUST in the San Francisco shop. Also, that's not even as many sandwiches as he used to sell on the weekends, due to the fact that there are now a bunch of Bay Area (and SoCal and Arizona) locations. 26 with meat, 10 veggie, and 10 breakfast sandwiches (which, for the first three months, were the most popular items). And yet still, Ike seriously thought maybe 46 sandwiches wasn’t enough. 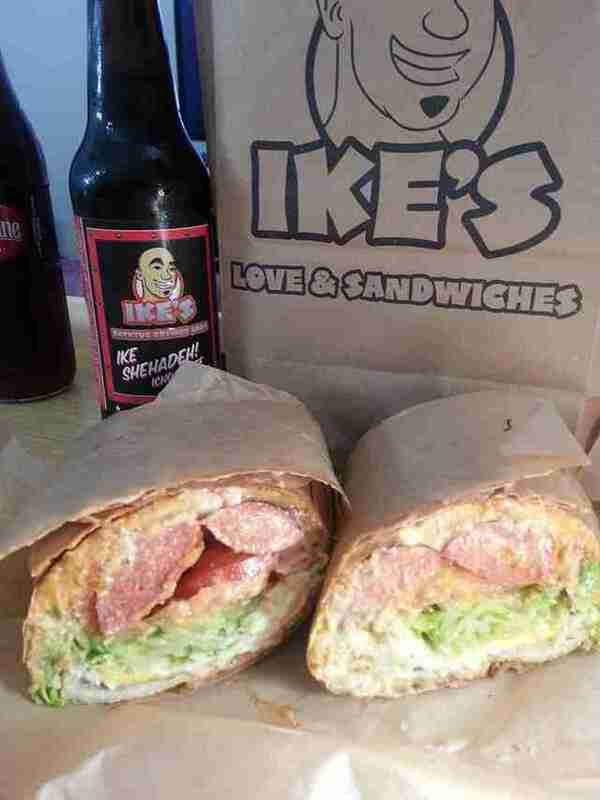 Basically, if a sandwich has ever been on a menu and Ike's can still make it (meaning it doesn’t require a special sauce that isn't currently being made), Ike's will do just that. 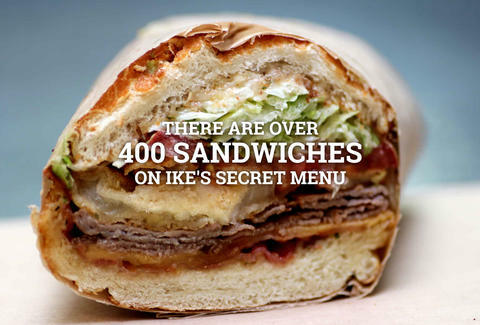 Which means there are currently more than 400 "secret" sandwich options. All while working on a book about how to get a girl to pay for the first date. What? All of his money was in Ike’s and he still wanted to eat good food. And, you know, meet women. Unfortunately, his goal was 100 women and he fell short by three measly dates. BBQ, cheddar, halal chicken, honey mustard, pepper jack, real honey, Swiss. A close second is the Matt Cain (Godfather sauce, provolone, roast beef, salami, turkey). And in third place is the $26.62 Kryptonite (avocado, bacon, beer-battered onion rings, EXTRA pepper jack, ham, mozzarella sticks, pastrami, pesto, roast beef, salami, stuffed-jalapeño poppers, turkey) “but only,” Ike says, "because it was on TV." “If someone comes in and wants it, I tell them to buy two other sandwiches; it’ll be cheaper and taste better." Which means it’s the one thing they occasionally sell out of... you just got anxiety, didn’t you? Win a Super Bowl after everyone makes it abundantly clear they don't believe you can complete a pass, much less win a game, and you'll get a sandwich named after you apparently. Turns out Timmy hates mushrooms, which were on the original sandwich for six whole months. The revised Lincecum's namesake sandwich is mushroom-less and a classic fan favorite: Ham, turkey, bacon, avocado, and Havarti cheese. Even though celebrities will say “just make me whatever,” Ike learned his lesson. 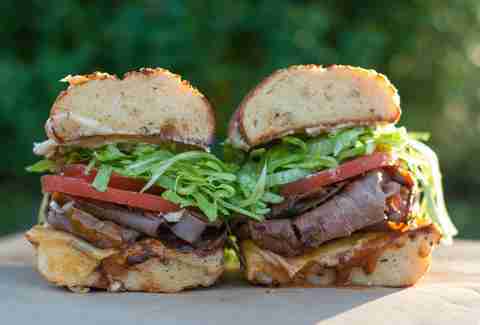 The rule is: if you want a sandwich named after you, you have to come in and help make it. That way everyone's guaranteed to walk away satisfied (and full). 16. The original name was "Ike's: Good Looking Sandwiches, Great Tasting People"
Unfortunately (???) that didn’t fit on the sign. The sign maker who had to break the news that it wasn’t going to work? Same guy responsible for the two giant fishnet stockings and red heel-wearing legs sticking out of the window over the Piedmont Boutique on Haight St.
Stay tuned ‘cause he’s trying to find a spot. He describes it like “if pizza and Ike’s had a baby.” Which sounds... perfect? Check it out: Bombay B’s Indian Bistro -- authentic and affordable Indian street food and it's right next to Ike’s Place in Franklin Square. Basically, if Ike is a part of it, we're happy to eat it. Daisy Barringer is Thrillist's SF editor, and if Ike ever named a sandwich after her, it would have to have a plethora of jalapeños. Tell her what your sandwich would be on Twitter @daisy.